This is the day, where Imagine Cup 2011 will be kick start tonight at New York. Lot of teams had arrived today in order to attend this great event. I can see the excitement is all over the hotel and every corner. Teams are busying drawing on on the Hello Booth, press from around the world are busying catching the competitors for interview and MSP social media team is busy learning the story of the team and many more. Imagine Cup 2011 is officially kick off during the Opening Ceremony at night. We have a lot of excitement in opening ceremony of Imagine Cup this year. We have Steve Ballmer, the CEO of Microsoft Cooperation for the first time at the Imagine Cup. He is not here only to support the competitors but also bring lot of exciting news for all the competitor. All worldwide finalist will be bring home a Kinect this year. Aren’t it is so good to be truth? Besides, Steve Ballmer also hint that there will be a next batch of Windows Phone 7 and Xbox that are going to release on coming X’mas. 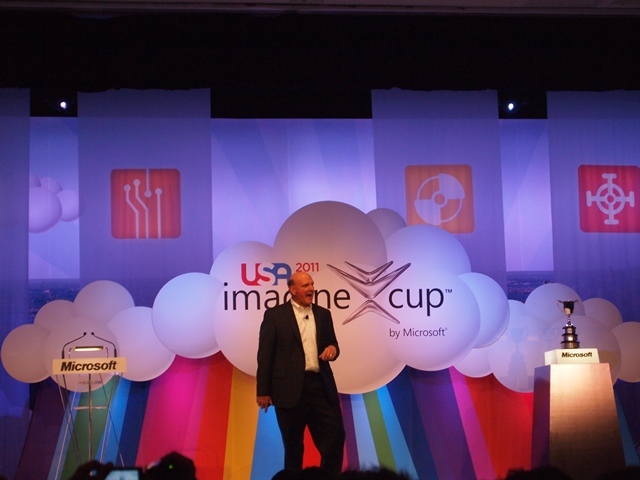 Check out Steve Ballmer speech at Imagine Cup here. 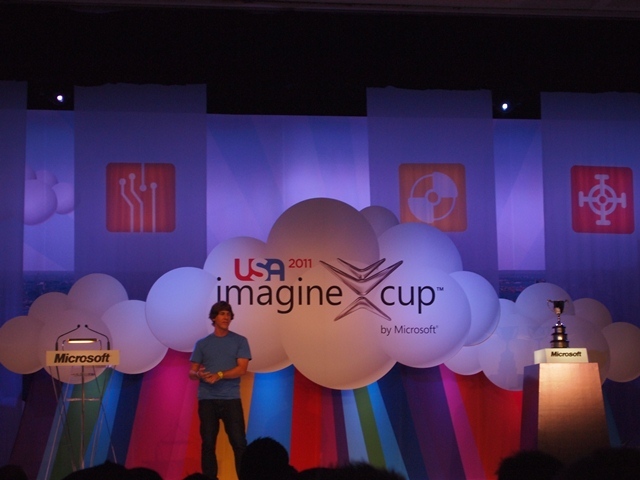 Other than Steve Ballmer, we also have Jon Perera (Microsoft Education General Manager), Jeffery Sachs (Director of The Earth Institute, Columbia University) and Dennis Crowley (Co-founder & CEO of Foursquare) for the first time at Imagine Cup. Jeffery Sachs challenge the students by giving them a homework assignment where they need to figure out how to save the planet while Dennis Crowley share the experience of his journey co-founding Foursquare with the competitors. Check out the video capture by MSP Social Media Team in Imagine Cup 2011 Opening Ceremony here and check out the photo below also. This year Imagine Cup have a super exciting kick start by all the great people and exciting news. Let’s siting down and see what great ideas will bring by students to solve the world toughest problems tomorrow as the real competition will be start tomorrow. Stay tune on my Blog or Twitter, or check out the official Imagine Cup’s Twitter for the most latest update.